Chat, stream, and record with the C920s HD Pro Webcam from Logitech. This webcam supports up to 1080p video at 30 fps and features HD auto-focus and automatic light correction for clear details whether you're in dimly- or brightly-lit environments. Thanks to its dual microphones, your voice will sound natural and clear. Also, an included privacy cover keeps your privacy protected. 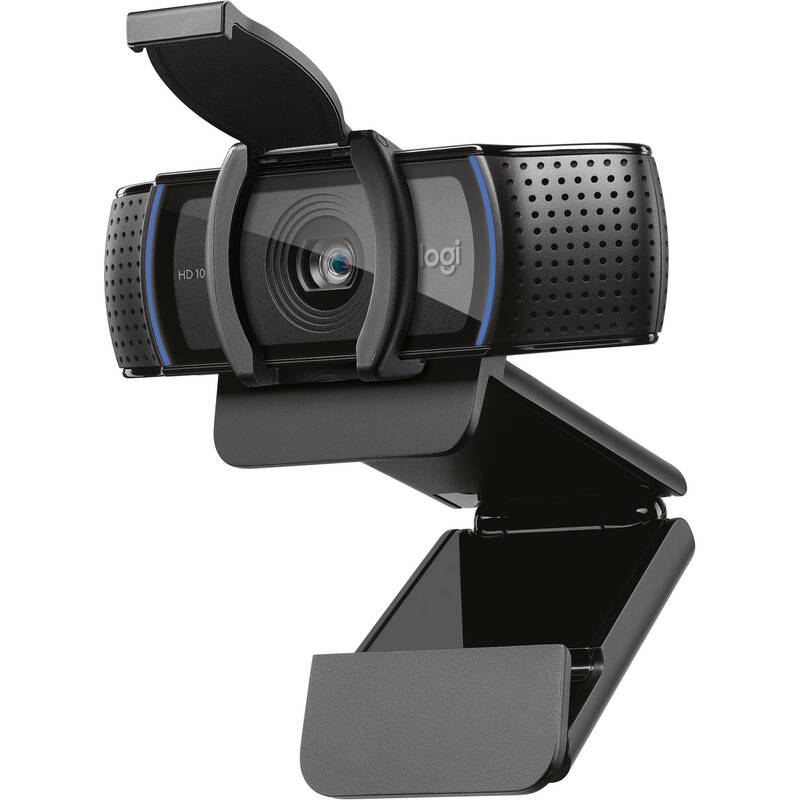 This webcam is compatible with Windows systems, but can also work in USB Video Device Class (UVC) mode with supported video-calling clients on macOS, Xbox one, Chrome OS, and Android. HD Auto-Focus ensures your capture is detailed while the light correction features enables you to be seen in dimly- or brightly-lit environments. Using the Logitech Capture software, you can record high-quality video, customize recording, adjust camera settings, and more with its intuitive interface. Two built-in microphones on the left and right side ensure you can be clearly heard from every angle. This webcam comes with a privacy cover, which you can flip up or down whenever necessary. Box Dimensions (LxWxH) 9.0 x 7.5 x 3.0"